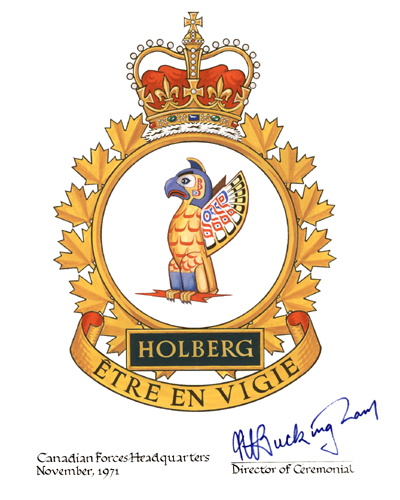 Holberg Coat of Arms - November 1971. 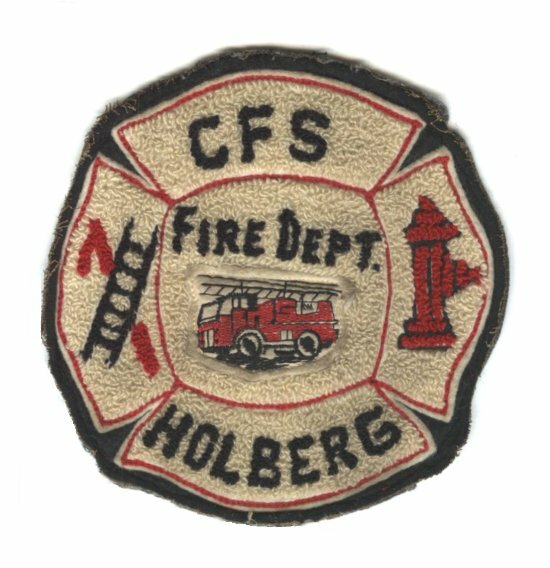 CFS Holberg Fire Dept. crest - 1966. 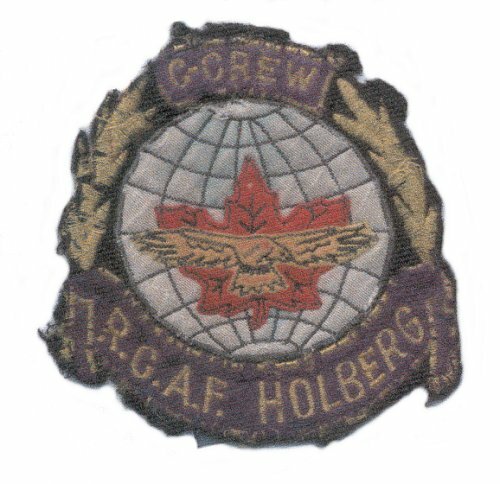 FCO C Crew crest drawn and designed by Larry Deiter - 1959. 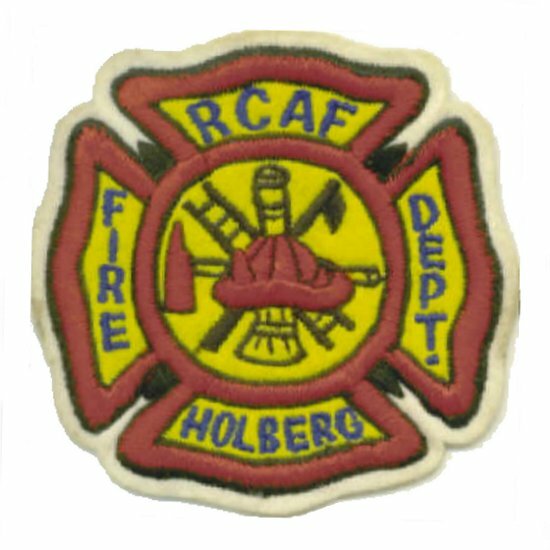 RCAF Holberg Fire Dept. crest - 1959. 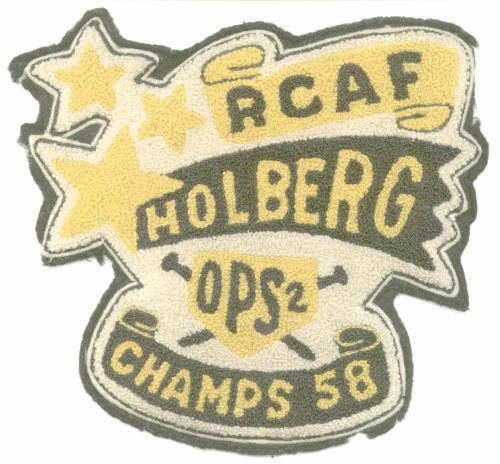 RCAF Holberg Ops 2 Champs - 1958.